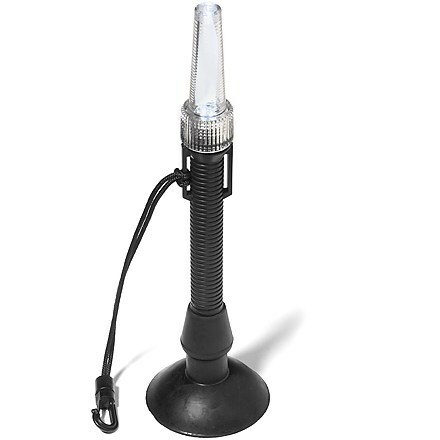 Essential Gear Strobe 4-Led Light - Flashing Strobe light with Clear Lens & 4 White LED's. Visibility 1 - 2 Miles. Unique prism lens. Battery Life up to 125 hours. 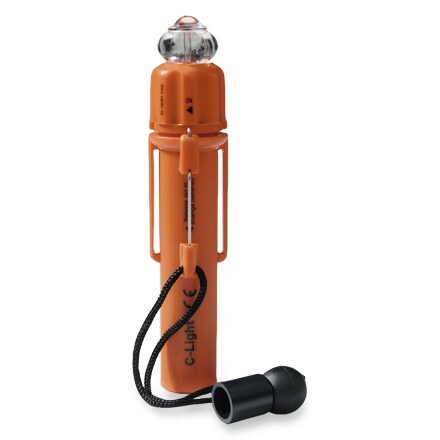 Waterproof up to 33 ft. Flashes at 40-55 X/min. Stainless Steel PFD Pin. 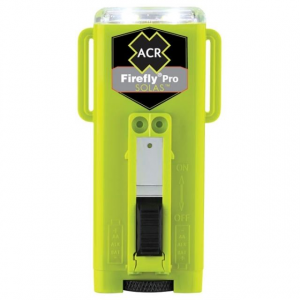 Specifications: Batteries 1 "D" Cell, Burn Time 125 Hours, Maximum Range 2 Miles, Waterproof 33 ft, Weight(w/o batteries)3.8 oz , 309 g, Size 2.3" x 4.9", 58 mm x 123mm. CLOSEOUTS . 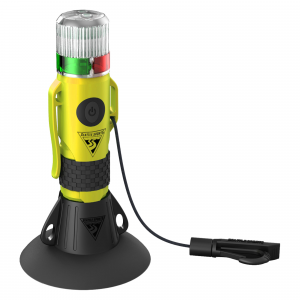 Waterproof to 33 feet and visible from up to four miles away, eGear's waterproof LED strobe light is a dependable safety measure for watersport and backcountry enthusiasts everywhere. Available Colors: RED/CLEAR. 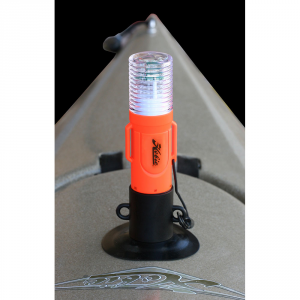 The eGear LED strobe light increases your chances of being seen in low light-perfect for kayaking! 4 LED bulbs cast even light; nearly indestructible LEDs greatly improve battery life. Uniquely designed yellow prism lens makes yellow light visible up to 4 mi. Flashes 40 to 55 times per min. 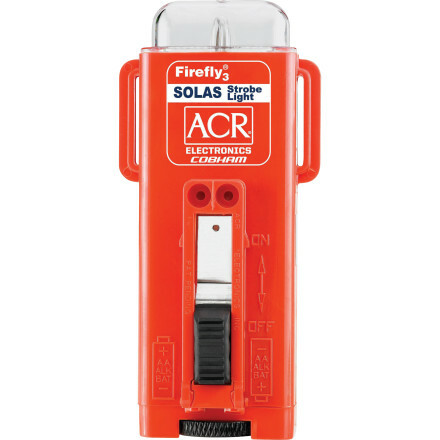 Can be attached to PFD with included stainless-steel pin. Uses 1 D battery, not included. Closeout. The LED Strobe Light has been discontinued. 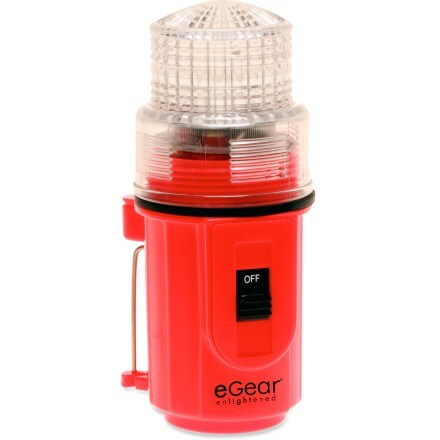 The eGear LED Strobe Light is not available from the stores we monitor. It was last seen December 17, 2012	at Massey's Outfitters.